The mastermind behind Ukama, the business model set to turn members of marginalized communities into entrepreneurs, is Cape Town’s Janine Roberts. In this interview, Janine goes a little more in depth about how Ukama works and why she decided to create this program. Please enjoy eNCA’s video feature on Ukama Holdings! It was a pleasure to share our story and the stories of the many micro-enterprises we support. 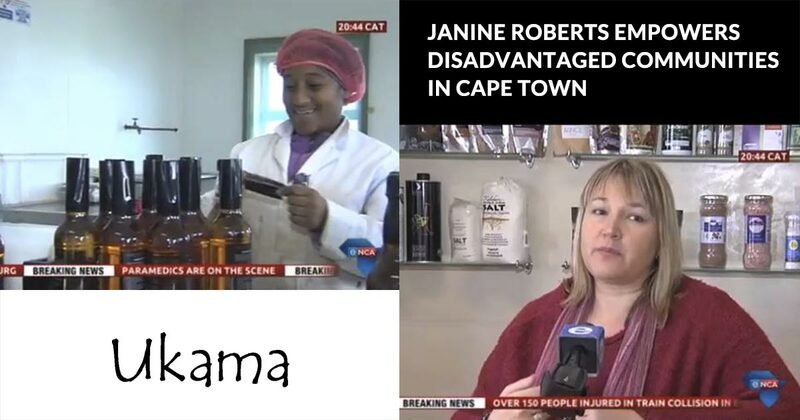 This entry was posted in social entrepreneurship and tagged community, entrepreneurship, food packaging, Janine Roberts, micro-enterprise, south africa, Ukama.